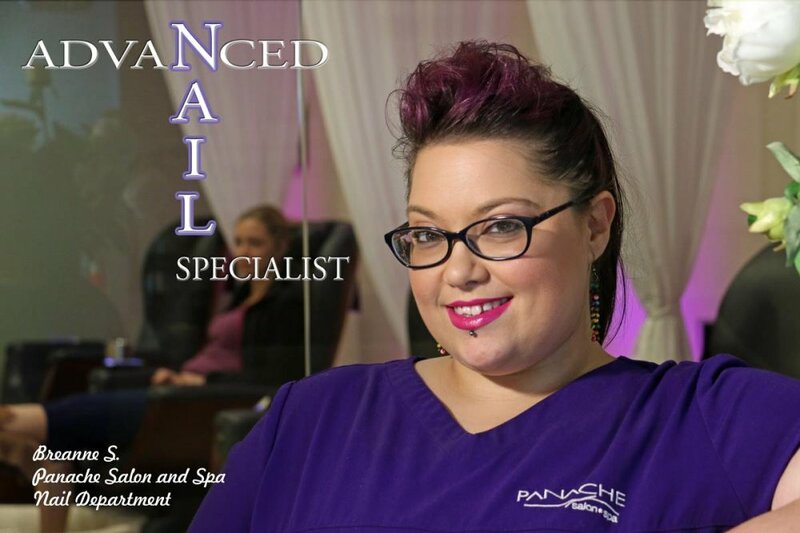 Congratulations to Breanne, our new Advanced Nail Specialist at Panache Salon and Spa & Erie's NexGen Expert, who recently received a promotion in our Nail Department. Bree, as most of our clients know her, has been with us at Panache for over 3 years and absolutely loves her job...and it shows in her work. Breanne specializes in NexGen and enjoys doing nails of every type. NexGen provides beautiful results with no damage to the nail through a dip powder process that includes calcium and Vitamin E to enhance and strengthen your natural nails. Schedule your next reservation with Bree...she would love to get to know you, and your nails.